A wine rack from our “Gothic” series, is off to a happy customer’s cellar today. 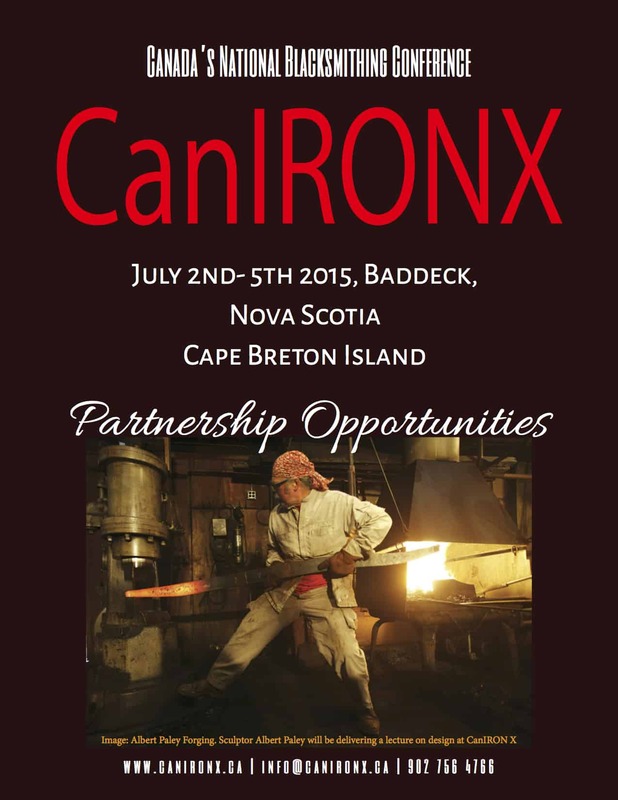 Join blacksmiths from across North America and beyond for Canada’s next national blacksmith gathering, CanIRON X, taking place July 2nd – 5th, 2015 in Baddeck, Nova Scotia. The Cape Breton Blacksmiths Association will be hosting the 10th anniversary of Canada’s biennial blacksmithing event in the historic and picturesque village of Baddeck. Special international guests include Albert Paley, Zeevik Gottlieb, Uri Hofi, Lorelei Sims and Mark Aspery. Watch sparks fly as master smiths bend hot iron into graceful forms of artistic and functional artwork. Try your hand at blacksmithing with an introductory lesson. Stroll through a diverse venders market featuring multi-media artisans from a variety of cultures, local craft beer and oysters, blacksmithing books and metal equipment and more. Visit an inspiring gallery of ironwork or if you’re a young person, take part in a youth-led blacksmithing class. Enjoy local music entertainment, group meals, and mingle with practicing blacksmithing from around the world. Take in the sounds of ringing anvils, the smell and hypnotic fire of coal burning forges, while you learn more about a craft that helped build our communities and country. Celebrate the International Year of Light and Canada’s Craft Year with the Canadian blacksmithing community in 2015. Come for a day or take in the whole conference. We look forward to giving you a warm Cape Breton welcome at CanIRON X, a one-of-a-kind experience that you will not want to miss. Edmonton Blacksmith Shop encourages all who have a love of iron to attend. Customized pot racks are always a popular item at Edmonton Blacksmith Shop. This one we named the Syrenka pot rack, after the polish mythic guardian.